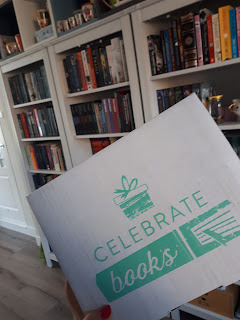 I received the Celebrate Books Box Nights & Shadows a while ago. 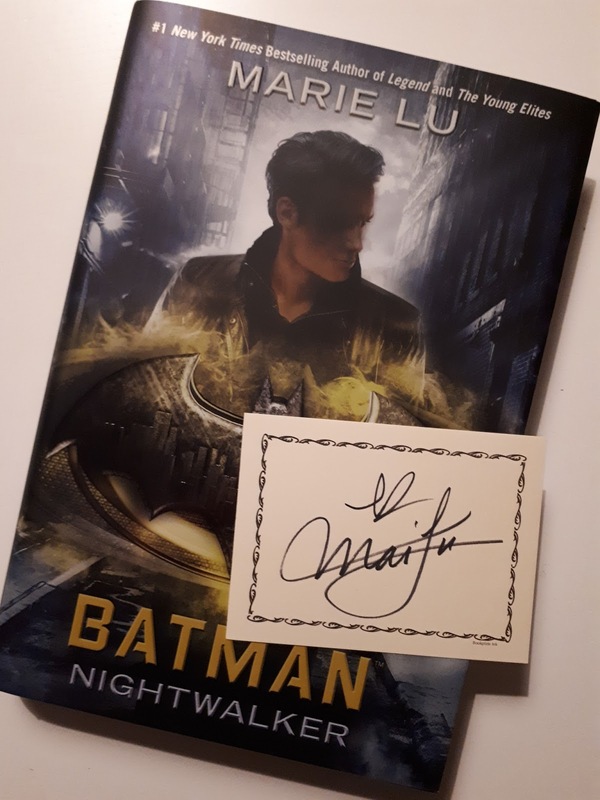 I'm so glad to finally share the goodies and the awesome book that was in this box, with you! I really enjoyed the other unboxing I did, so I'd love to do it again! This month, there was another hardcover book in this box and I'm so glad with the book I found in side! First; This is a set of Celebrate Books playing cards. Each box includes a different set and these playing cards are exclusive and not for sale afterwards. 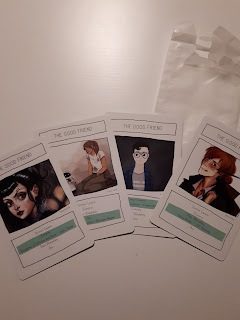 This month the theme of the card is The Good Friend with ofcourse, Ron Weasley! This is fanart for the theme of the book. It's from DC Comics or Marvel. 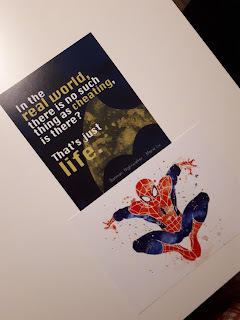 I kinda like the quote on the card, because it makes you wonder... It would be nice to use the quote as a discussion point, because I'm not sure everyone agrees! 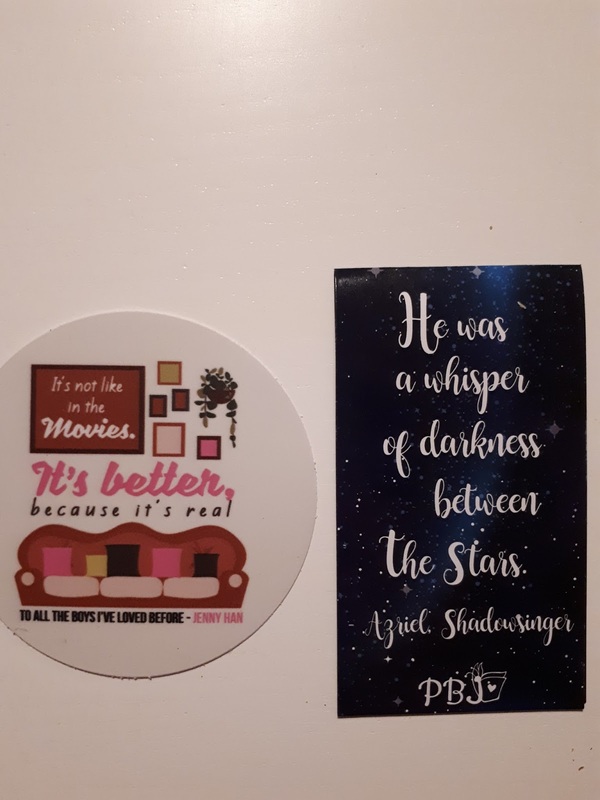 This is a sticker from Reviews and roses. It's from To All The Boys I've Loved Before. A book that I really enjoyed. And next to it is a magnetic bookmark, maybe my favorite item this box, because it's from ACOTAR! 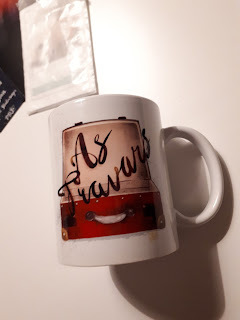 *Insert fangirl squeal* It's about Azriel and made by Prout Book Junk. 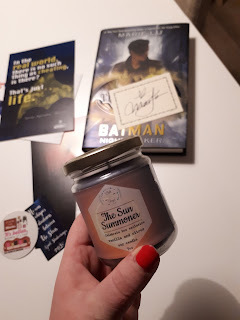 I always love a good candle. It smells great. It's inspired by Alina Starkov of The Grishaverse-series. It's made by Light the Pages. I'm still very sure that one can never have too many candles! I haven't read A Darker Shade Of Magic but it's high on my list! The illustration is inspired by the book and made by Four Seasons Fox. I LOVE that this is this month's book. I got Wonder Woman from a previous box as well and it's so cool to also have this book. Can't wait to dive into the series and I'm so glad that there is a signed bookplate that comes with it. Definitely gonna put that in the book! I want to thank Celebrate Books for always coming up with great themes and making a very lovely bookbox. I'm so addicted... Gonna order next month's box, RIGHT NOW! Have you ordered a Celebrate Books Box? Or do you plan to do so? Let me know!